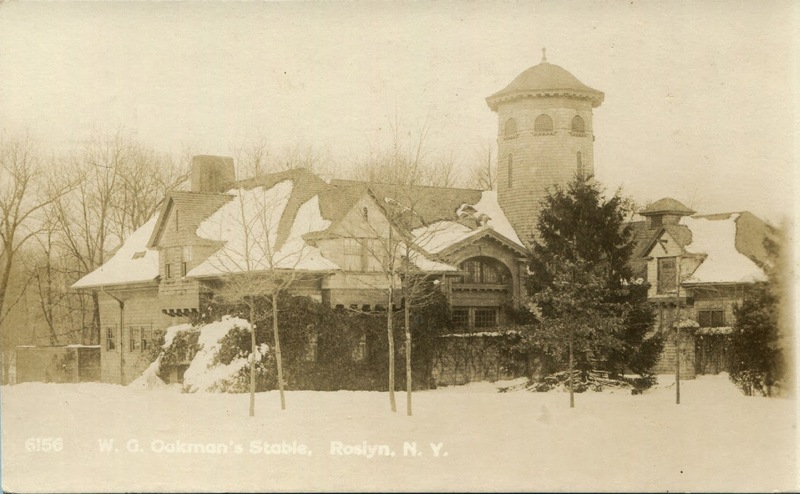 The stable complex to 'Waldene', the Walter G. Oakman estate designed by Grosvenor Atterbury c. 1900 in Roslyn. Click HERE for more on 'Waldene'. The building has since been demolished. A magnificent building - appropriate to the grandeur of the manor house itself. And speaking of the house; twenty-nine rooms of elegance! Wonderful paneling and the furnishings are just perfect and comfortable. that we could all live in a stable exactly like this- lucky animals!! Atterbury at his best! What a great architect! I wish more of his work survived!